Before you’re ready to shake your thing on the dance floor, you need to ensure that the dance flooring below is safe, durable, slip resistant and sturdy. Our dance floor tiles are perfect for all styles of dance including jazz, tap, ballet, contemporary and social dances as well. 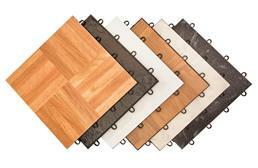 All of our dance tiles are USA made and boast excellent manufacturer warranties. 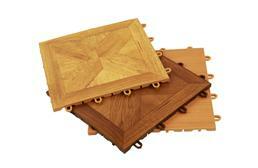 These high quality tiles offer attractive wood looks without any of the maintenance of natural wood. 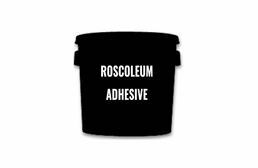 All of our tiles are designed to be first time DIY friendly, meaning anyone can install them with the help of our instructional videos. With stylish designs and versatile indoor and outdoor capabilities, these dance flooring tiles are sure to get people out on your dance floor. A 5, 6, 7, 8! Anyone who has ever taken dance knows just how hard it is to practice outside of the studio - practicing pirouettes on your kitchen tile, leaps in the grass, and working on your splits on the softest surface you can find. And inside the studio? 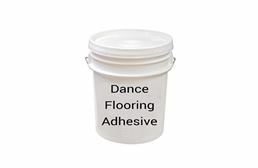 You have to find the perfect floor to safely support your dance company with resiliency to avoid injuries and a smooth, non-slippery surface for optimal turning potential. If you’re new to the dance world, it’s likely that you have no idea where to begin searching for your dance flooring system. 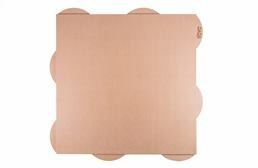 Most people start off looking for a dance flooring cheap. Well, we will help you keep your dance flooring cost low, but these floors are anything but cheap. Whether you are looking for dance flooring for a home studio or dance flooring for dance studios, we have some great options to get you started on the right foot! Here’s where people tend to get confused. There are a lot of options, but don’t stress! 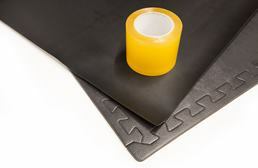 Typically, dancers can choose between two types of dance floors: marley dance flooring rolls and hard plastic dance tiles. Each floor is specially designed for different styles, locations and uses. Dancers love marley because it gives a safe, controlled surface with enough slide for turns and enough grip for big jumps and fancy footwork. If you want to get technical, Marley was the brand name of the pioneer in vinyl dance flooring rolls. It’s like when you talk about q-tips. Everyone calls them q-tips. If I said “I need to go to Target for ‘cotton swabs’”, you would look at me like I had 3 heads. But that’s what they are. The Q-Tip brand just became so popular that everyone now refers to cotton swabs as q-tips. The same thing happened with marley. 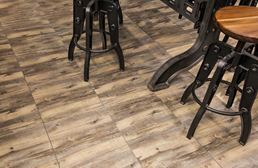 The original Marley brand was so popular that, these days, all vinyl dance flooring rolls are commonly referred to as marley. In fact, you can’t even purchase the original Marley floors anymore. They’ve been off the market for years. 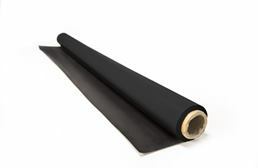 So now, all vinyl dance flooring rolls are most-commonly referred to as marley. Even though they’re not technically the Marley brand. These days, the marley flooring standard is Rosco dance floors. 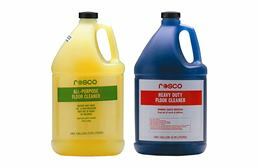 In fact, our most popular marley floors are Rosco dance floors. 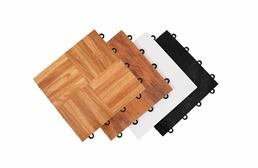 Dance floor tiles are typically made from a hard plastic with a printed wood-look luxury vinyl top layer. These babies are super durable and look sharp. 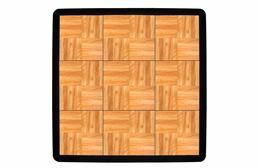 Dance flooring tiles are most popular for social dancing and at-home practice spaces. The great thing about using tiles is they come together in a snap and they are ultra portable so you can move them around as you need. Do you do weddings and events? 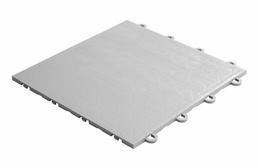 You will save a boatload of money by purchasing your own portable dance floor tiles upfront, rather than continuing to rent them for every event. 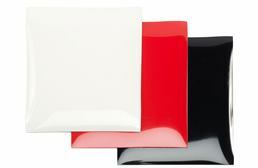 Dance tiles are also the go-to choice for studio dancers looking to get a little extra practice at home. Chances are you aren’t lucky enough to have your own dedicated dance studio in your home (or maybe you do, in which case, I’m jealous). However, you can create a temporary dance floor using dance tiles that you can easily pack up and store in the closet once you’re finished. Win, win. As a dancer, you know that each style requires the right shoes and the perfect floor. Those ballroom heels just won’t work on a stickier ballet marley designed to protect you during pointe work. 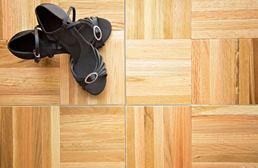 Below, we’ll cover the most popular flooring option for each dance style. Marley is indisputably the best flooring for ballet. The precision and skill of ballet and, in particular, pointe, require a delicate balance of slide and grip to keep dancers safe. 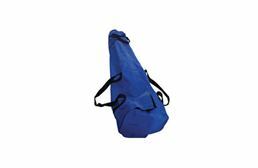 The go-to marley option for ballet and contemporary, perfect for studios and touring companies. The speed, precision and high-energy movements of jazz require a tough floor with just enough grip to keep you from sliding out of those kicks and turns. Jazz is usually fast moving with big, explosive movements and marley is the best man for that flooring job. The premier tap and jazz flooring; our most popular and versatile marley. 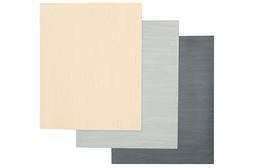 Many people think hard plastic tiles or plywood are the best options for tap dance flooring. On the contrary, there are marley rolls specially designed to provide the perfect amount of sound, slide and stability for tap and Irish step dancing. Just make sure you choose a marley roll specifically rated for tap dancing. With lots of floor work, contractions and choreography that pulls you off your center, often into less than natural positions, you need the right floor to support you. Marley is the best flooring option for contemporary dance – just make sure you don’t pick one with too much grip if your dancers plan to dance barefoot. The fast footwork, speedy turns in ballroom make it a tricky dance style for flooring. 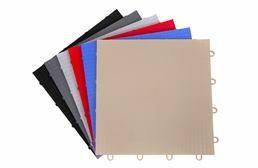 Some marley options are safe for ballroom, but hard plastic dance tiles will typically be your best bet. They offer the smooth surface you need for your fastest footwork. 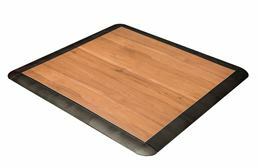 Gorgeous, wood-look portable dance flooring, perfect for all hard shoe dance styles. The beauty of hip hop is that it was created to do just about anywhere. With its roots in street dancing, the whole idea is that you don’t need anything too special. But, you do want to make sure you have the right floor to support your fast footwork, slides and head spins. For that, your best option will be hard plastic dance tiles. Flamenco combines the sound from tap and Irish step with the heels and fast footwork of ballroom dancing and it requires a special dance floor. 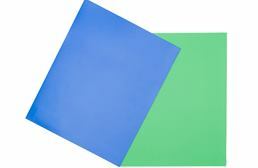 To get the most out of your choreography, we recommend going with hard plastic dance tiles. You can also use a marley floor if it’s rated for Flamenco specifically. Each location is different and has different requirements. Find the perfect dance floor for your location, easily. For most studio owners, you need a floor that can hold up to every style you teach, including ballet, jazz, tap and more. Luckily, you have a few options that are engineered with versatility in mind to give you the very best all-purpose marley floor. 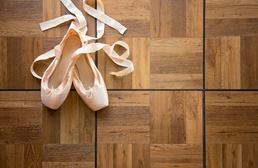 When choosing home dance flooring, you want something lightweight, portable and versatile. Chances are you study multiple styles and you want to be able to practice a little bit of everything. The best option will be rated for hard and soft soled shoes so you can practice your time steps and pirouettes all in one convenient location. You also want putting this floor together to be easy. 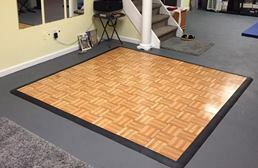 Your home dance studio space should include a DIY dance floor. 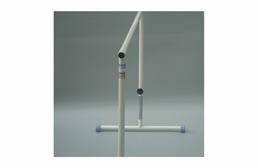 Pair your home dance floor with a portable ballet barre to get the most out of your practice. Lightweight, portable dance floor, perfect for all hard shoe and soft shoe dance styles. For touring dance and theatre companies, it’s crucial to have a high-quality marley floor you can easily transport and take on the road. These floors are going to be installed and uninstalled hundreds of times. The last thing you want is heavy, bulky marley rolls that make your job harder. Don’t worry; you can find a sharp, gorgeous marley floor with the lightweight ease you need for travel and enough versatility to support multiple styles. 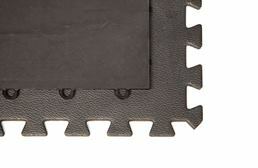 These babies are still ultra-durable, built to handle the abuse of tours, buses and more. 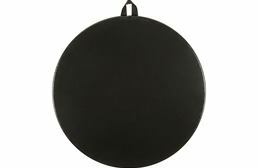 The #1 portable marley, perfect for touring companies and temporary stages. When you’re looking for a portable, temporary dance floor for your wedding, event or home, you need something durable, slip-resistant and versatile. 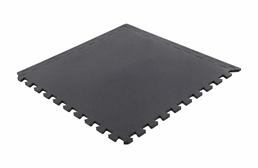 The thing about portable dance flooring is everyone is looking for something a little different. For example, a portable touring marley floor is entirely different than portable event dance tiles. To choose the best option, we suggest looking first by style then choosing a dance floor option rated for temporary use to ensure you get the right product for your style and application. For installation, maintenance and practice, there are a few things that will help you maximize your dance floor. Marley floor tape. 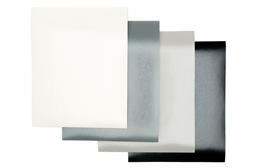 We offer Dance Floor Tape in every marley color to match your floor and offer a seamless appearance. 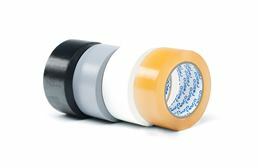 Additionally, you can use double-sided carpet tape around the edges of your floor to keep everything in place a little more. 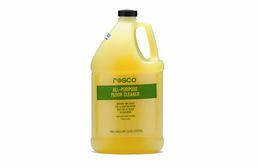 Marley floor cleaner. 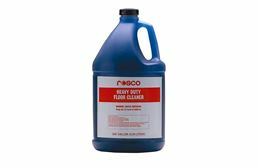 To ensure your marley floors look sharp for years to come, try our specialty marley floor cleaning solution. 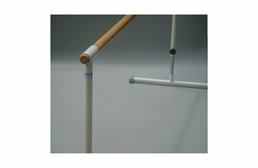 Portable ballet barres. 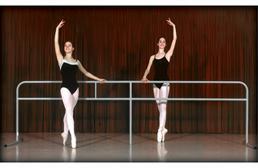 For schools, studios and home practice, consider adding some ballet barres to your space. 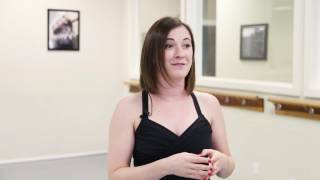 Effortlessly perfect your technique performing traditional barre work and more. Dance flooring installation is relatively easy and it is definitely something you can do on your own without the need for an installation professional. First, you need to understand how you’ll be using your floor. 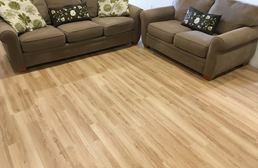 Most dance flooring options are rated for either temporary, semi-permanent or permanent installations. Temporary. Temporary dance floor installations are perfect for touring companies, events, home practice and more. Semi-permanent. If you have a shared space or a home studio, semi-permanent installations are great. This way you have a dance floor that can stay in place, but you can also move it without damaging the floor. Permanent. Choose this option if you’re in it for the long haul, such as a permanent studio space. 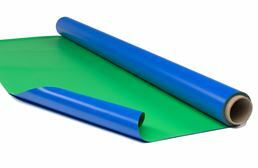 Each of our marley dance floor rolls is rated for either permanent, semi-permanent or temporary installation. Just check the manufacturer’s specifications and follow the direction for your desired installation. 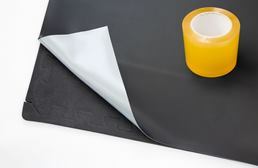 Traditionally, you can easily install marley dance rolls yourself by laying rolls flat and using vinyl tape over the seams. Of course, we always recommend checking the product specifications before installation. For best results, loose lay your marley rolls 24-48 hours in advance to allow them to fully relax. 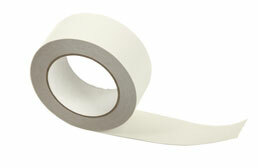 Leave a 1/16”-1/8” gap between rolls (but no more – you don’t want to have full-on cracks in your floor!) to allow for expansion and contraction. 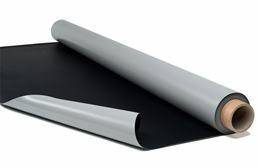 We also recommend topping them off with a matching vinyl floor tape. When installing the dance floor tiles, we recommend starting in the front left corner of the room and working your way out from there. 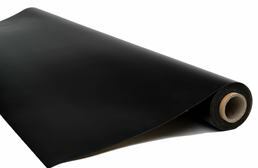 **Note: Since our dance tiles feature a vinyl top adhered to the tile with a pressure-sensitive adhesive, pressure may be necessary to ensure that the vinyl top is fully adhered. You can easily accomplish this by walking across the floor or by using a flooring roller for larger areas. One of the last things that people think about when installing their dance floor is the subfloor. This is a very important step to installing marley rolls in particular. Putting marley rolls over concrete is not an ideal installation method if your flooring is going to be used for all types of dancing. While dancing, there is a lot of stress and pressure put on your body that can cause pain and injury over time. We very strongly encourage you to think about a dance floor subfloor. I know, I know, it’s an extra expense, but it is so worth it. Whether you’re a studio, school or professional company, the last thing you want is injured dancers. And the best way to prevent injuries is to start with a sprung subfloor. 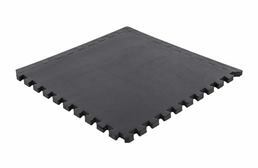 The dance subfloor absorbs and distributes the dancer’s weight, which allows dancers to continue to jump, leap and roll with a lower risk of injury.